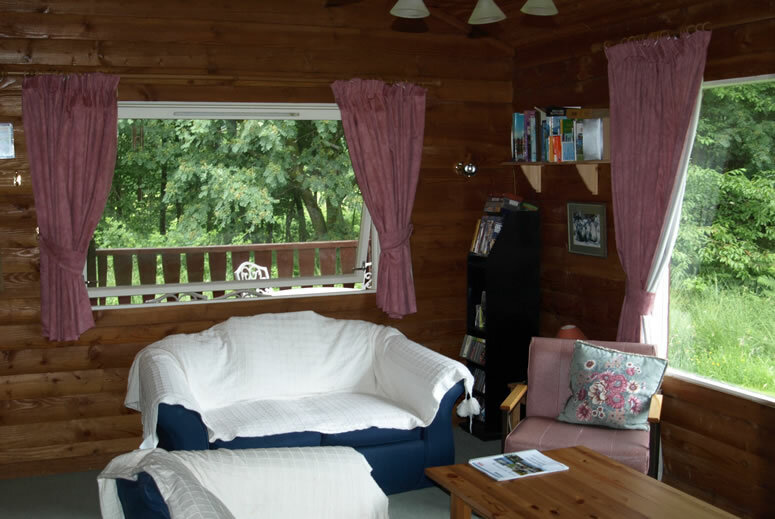 Accommodation comprises a Dining area/Kitchen with pine table and benches, a separate living area over looking the hills, One double bedroom, one twin bedroom, and one bedroom with a bunk bed / double futon, a bathroom with shower. Maximum accommodation is seven, although 6 would be more suitable if all were adults. Home Entertainment:- OK, this IS the West of Scotland after all and sometimes it rains so…….There is a TV with digital channels (only 5 though ) plus a video player. There is also a mini Hi-Fi /CD player. There are a few compilation CDs in case you forget your own but we make no promises that they will be to your taste. There is a small games compendium, cards and a jigsaw or two as well. Maps and Books:- There are local Ordnance survey maps and books of walks provided. These are all for your use and enjoyment but we would ask that you take care of them so that others may benefit from them as well. There is also a reasonable selection of novels and some children’s books provided. 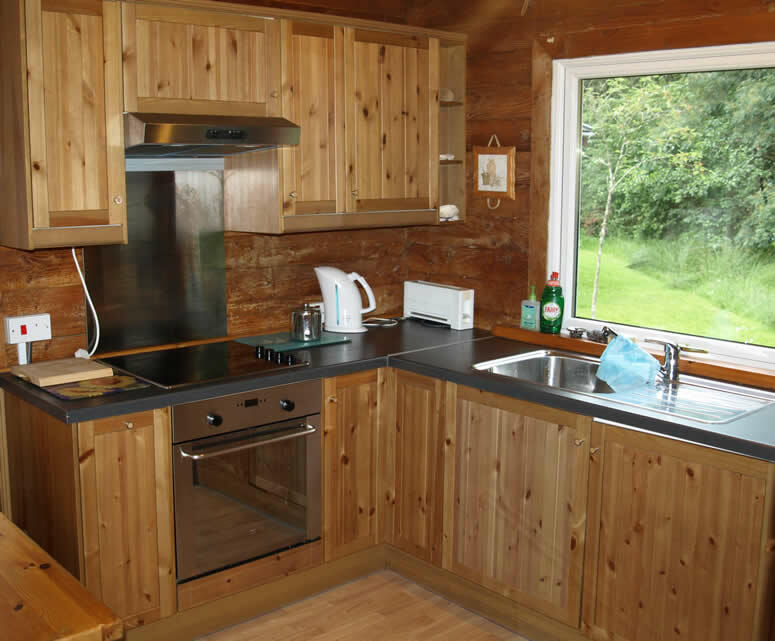 Kitchen / Diner:- A fully equipped kitchen / dining area with pine tables and benches. Appliances include microwave, cooker, washing machine. There is iron, ironing board and vacuum cleaner in the cupboard off the living room located behind the large mirror. Electricity:- We believe that extras like metered electricity are a nuisance to one and all and therefore we do not charge for electricity; However in return we would ask for a little environmental friendliness in its' use. Hot Water:-All hot water is provided via environmentally friendly instant electric water heaters. 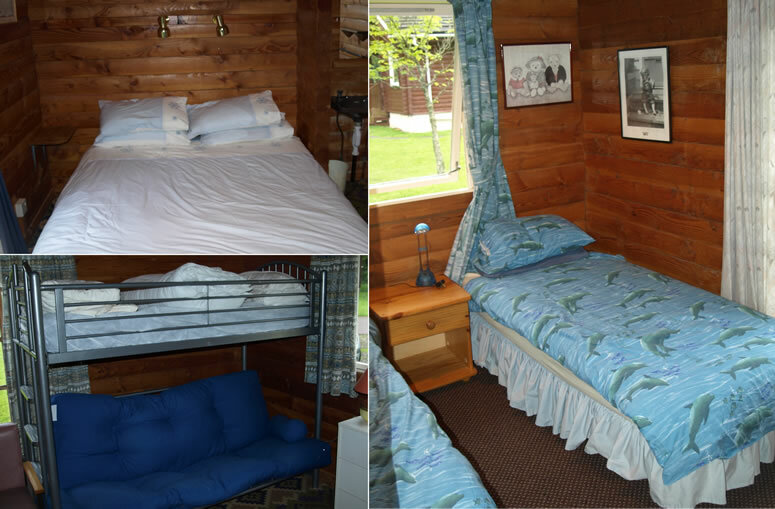 The lodge has one double bedroom, one twin bedroom, and one bedroom with a bunk bed / double futon and a bathroom with shower. Double Bedroom:- Double bed with wardrobe, drawer unit and private sink. 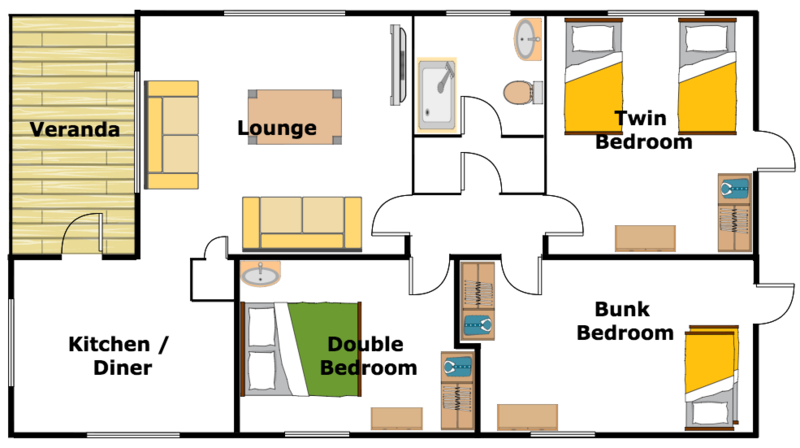 Twin Bedroom:- Two single beds with wardrobe and drawer unit. Bunk Bedroom:-Single bunk beds with a futon style double bed. Bed Linen:- Unfortunately we now have to charge a set fee of £25 if you wish us to supply Bed linen (due to problems with cleaning / change over arrangements). We regret that we are unable at present to supply towels. There is car parking for two cars associated with the lodge. Please do NOT park on the grass. We do not encourage pets in the lodge and there is an extra charge if you wish to bring them. However, we do not wish them to be left unattended in the cabin at any time. Also please note that pets are not allowed into the bedroom areas. We understand and appreciate that accidents will happen, however we would be most grateful if you could let us know as soon as possible so that we can do our best to sort things out. Kenn, Heather and Alice very much hope you will enjoy staying in our log cabin as much as we do. Please consider however that this is our holiday home as well and treat it accordingly. Have a Wonderful and relaxing Holiday !